Ogm kis series multipurpose led light is perfect for a variety of tasks. Built to withstand the harshest open ocean environment by using a single machined aluminum housing and cast acrylic lens. With a wide voltage range of 9vdc-30vdc, the kis series led light is a great light for any 12v or 24v boat systems while still offering portable options using simple battery packs (will run 10 hours on a single 9v battery). 18awg marine grade 2 conductor wire allows for easy integration into existing boat wiring. 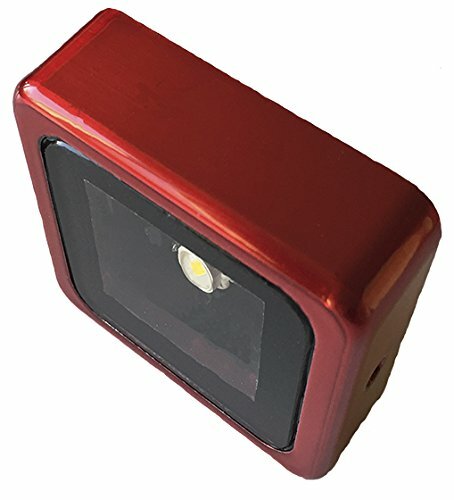 Red housing with red led (100 lumens) this light supports a variety of brackets including our own u-bracket for flush mounting or our ball-n-socket bracket and rail mounts for a wide range of motion to illuminate just that right spot. In addition to standard hard anodized black and powder coated white (shown), ogm offers a variety of colors of housing & leds available to add even more versatility to the new ogm kis series led light. If you have any questions about this product by OGM, contact us by completing and submitting the form below. If you are looking for a specif part number, please include it with your message.